And in the last 28 days, 43,196 people found me by Googling variations of my name. So, can you see the issue with everything I am doing? It’s all tied to my name. None of my companies have as much traffic, and they don’t have anywhere near the social following as my personal blog that you’re reading right now. And that’s not even the biggest issue, which I will get into later on. But before I go into why I wouldn’t build a personal brand again, let’s go over how it all began. Why did I build a personal brand? I never planned on building a personal brand. I started my career in marketing at the age of 16. My first website was a job board called Advice Monkey (no longer exists) that I started when I was 16 years old. I had no clue how to generate traffic… I just thought that you put up a website and people visit. Eventually, I saved up enough money from picking up trash and cleaning restrooms at a theme park to pay a marketing firm. They ripped me off and provided little to no results. From being broke and frustrated I had no choice but to learn online marketing. I got so good at it that Advice Monkey started to rank on Google for competitive terms like job board, job search, and tech jobs. In essence, I was ranking for so many job and career terms that Advice Monkey started generating well over 100,000 visitors a month. I know that doesn’t seem like a lot of traffic, but for a job board with no listings, the Internet not being as popular 17 years ago, and for me being a 16-year-old kid, I didn’t do too bad. But here is the thing, I was never able to make Advice Monkey work out. I just didn’t know how to monetize it. So, like any other nerdy 16-year-old, I did what my parents wanted me to do, I went to college. And I know I was a bit too young for college as I was still in high school, so I took night classes at a college nearby my home while still in high school. My first class was Speech 101, and I gave a speech on how Google worked. Funny enough, someone in the class worked at a company that was looking to hire someone that knew how Google worked. He asked me if I wanted a consulting job… I said yes… they paid me $5,000 a month. I was able to help them generate well into the 8 figures of additional yearly revenue because of my work. The owner of the company was impressed, so he introduced me to his son, who owned an ad agency. Soon enough, he outsourced some work to me, which lead me to generate $20,000 a month in income. I was happy with the money that I was making for my age, but I knew it wouldn’t last. Just because someone is paying you money right now, it doesn’t mean they will pay you next year or even next month. I had to figure out how to generate customers. I wasn’t the best at sales, I wasn’t well connected… so I did what I knew best. I created a blog that focused on the topic of SEO in hopes that it would generate leads and sales. Over time, the blog started to grow in popularity and it would generate leads here and there. I never hit more than 150,000 monthly visitors, and I wasn’t satisfied with the results. I wish I knew what I know now because I would have done simple things like leveraging exit popups and lead forms on the blog. Seriously, I made so many basic mistakes back in 2006. Because the blog wasn’t working out too well, I decided to speak at conferences in hopes that it would generate more clients. I literally applied to every marketing conference in hopes of landing a speaking gig. The first conference I spoke at was Search Engine Strategies (it no longer exists). I was a bit nervous, but people enjoyed my speech. But that didn’t stop me, and I started to speak at more conferences and eventually, I drummed up business from a few events. Plus, I was building a personal brand in the marketing space (without realizing it). Now when I say I started to build a brand, it wasn’t anything like it is right now and my goal wasn’t to build a brand… I just wanted to close new deals. My ad agency grew to a few million a year in revenue, but by the time the recession hit in 2008, we started to lose a lot of clients. Eventually, I shifted my focus to a marketing software company I co-founded, Crazy Egg. At the same time, I stopped blogging on Pronet Advertising because it wasn’t generating any real income. I started to focus all of my energy on getting Crazy Egg traffic and customers, while my business partner focused on making the product great. At that time, Crazy Egg’s brand recognition was larger than mine. And I had no intention of growing my personal brand. So, when I spoke at conferences, I talked about Crazy Egg. When I woke up in the morning, I spent my time trying to make Crazy Egg more popular. As Crazy Egg was growing, I randomly decided to start a personal blog, Quick Sprout. I have no clue why I decided to do this… I just wanted a personal blog because I thought it would be a fun experience. And if you are wondering why I didn’t name the blog Neil Patel it’s because I didn’t own NeilPatel.com at the time. My traffic was growing nice and steady at the time although my personal brand wasn’t really taking off yet. But by January 24, 2013, my personal brand started to take off. That was when I started to publish in-depth marketing guides that were 20,000 to 30,000 words. People thought I was crazy! 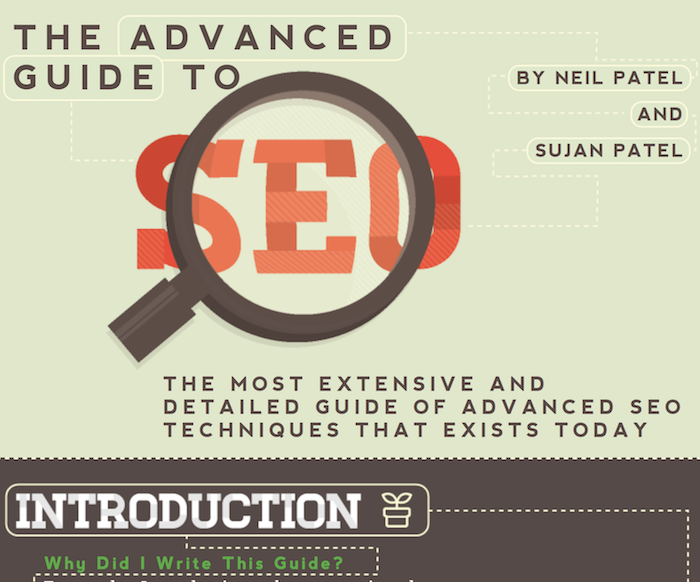 The first one was called The Advanced Guide to SEO. It did so well, my traffic jumped to 244,923 visitors a month. Once I realized that people loved these in-depth guides that were as long as a book, I kept publishing more and more. Eventually, I cranked out 12 of them and my personal brand started to skyrocket. People would come up to me at conferences saying how they loved my content. People would even tell me how they would have discussions with their co-workers about my content. It was surreal! Heck, it even got to a point where professors would email me asking if they could teach my content in their classrooms. And luckily for me at that time, one of my Quick Sprout readers saw that the domain name, NeilPatel.com was being auctioned off for $900. Once I found out, I bought it. I didn’t do much with it… I just wanted to own my name. Quick Sprout eventually grew to a point where it was generating over 500,000 visitors a month and I partnered with a few people to turn it into an SEO software company. Once I brought on a few business partners, it hit me that Quick Sprout was no longer just my blog. I had business partners, which meant it wasn’t just my blog anymore. There was nothing wrong with that, but I wanted a personal blog as well. Somewhere I could write whatever I wanted and not worry about the “business” aspect. I started this blog in August 2014. When I started this blog, my personal brand was just taking off. And currently, it’s roughly at a 22. Which means it is 3 to 4 times larger now than what it was when I started this blog. But here is the thing, Google Trends doesn’t paint a full picture. It just tracks how many people are searching for your brand on a monthly basis. There are a lot of people who have known about me for years who don’t Google my name on a monthly basis. I blog consistently – I’ve been blogging for years on many different blogs. From Pronet Advertising to Quick Sprout to NeilPatel.com, I enjoy blogging about marketing. Just on NeilPatel.com, I have published 4,868 posts. I have a daily podcast – Marketing School generated 725,044 listens last month. If you haven’t listened to an episode yet, make sure you check it out and subscribe to it. I produce weekly video content – from YouTube to Facebook to LinkedIn, you constantly see videos from me about marketing. My Youtube channel alone generated 566,816 views in the last 28 days. If you add in LinkedIn and Facebook, I’m hitting over a million video views a month. I still kind of speak at conferences – I’ve slowed down on the speaking circuit as it got so exhausting because I used to speak at over 50 conferences a year. I guest posted weekly – I used to blog on Entrepreneur, Forbes, Inc, and Fast Company as it helped spread my brand. Over the years I have written 1,831 guest posts in three different languages. 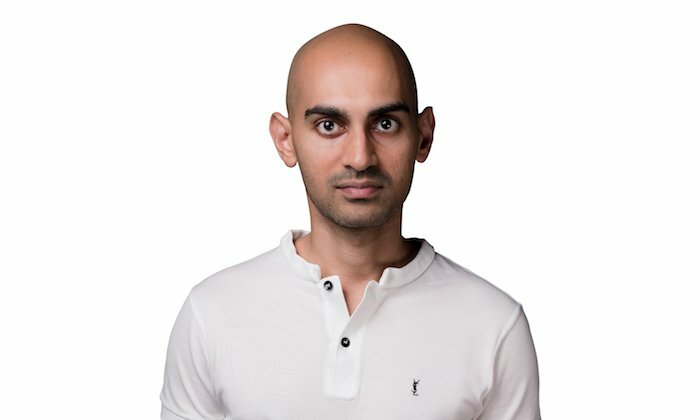 I expanded internationally – NeilPatel.com is now translated in 4 languages, and I continue to add more each year. This has been helping my brand grow. In other words, I’ve built a decent personal brand by just being consistent and putting in long hours for over 16 years. As I mentioned earlier, I wasn’t trying to build a personal brand… it just happened. It’s not huge, but it’s grown to a decent enough size where it’s larger than any of my corporate brands. My personal brand has helped me generate millions in consulting deals, and I constantly get offered $25,000 to $50,000 for an hour speech at conferences each week. So why do I regret building a personal brand? Well, let me ask you this… think of a few of the brands you are very familiar with, which ones come to mind? Amazon, Microsoft, Coca-Cola, Nike, American Express, Tesla… the list keeps going on and on. Did you notice that you didn’t really think about a personal brand? Now tell me one personal brand that’s bigger and more successful than any one of the companies I mentioned above? Whether you pick Tony Robbins or famous athletes like Cristiano Ronaldo or reality TV stars like the Kardashians, none of them will ever be bigger than the companies I mentioned above, at least from a financial perspective. And what’s sad is when the face of a personal brand passes away, in most cases so does the income. For example, Tony Robbins does well because he is Tony. But if Tony wasn’t around, who would speak on stage on his behalf? It wouldn’t be the same if his company replaced him with someone else. But on the flipside, look at Apple. Steve Jobs was the visionary who helped build this amazing company we all love, but since he passed away, Apple’s stock price has gone up roughly 4 times. They are now worth a trillion dollars. That’s crazy!!!! Yes, Steve Jobs was an amazing entrepreneur, but Apple has grown without him and has continually improved their products. In other words, Apple will continually live and hopefully grow because it isn’t reliant on any one individual. Now my company is named after me. I’m not the only person within the company… the team is what makes the company amazing, not me. If I wasn’t here tomorrow, the company would still be around, but it probably wouldn’t do as well. Not because the team isn’t capable… the team does amazing work and they are better than me in many ways. It’s because, without me, many companies wouldn’t come on board as clients. If I changed the name of the company it also probably wouldn’t do as well because my personal brand is influential within the digital marketing world. And here’s the kicker: It’s also harder to sell a company when it is named after a person. And if you are one of the lucky people who are able to sell a business based off of a personal brand, the multiple won’t be as great because the buyer knows that when the personal brand leaves, so will some of the revenue. I’m not saying it’s impossible… just much harder. That’s why you see companies like GitHub being purchased for $7.5 billion when most people haven’t even heard of it (outside of the tech world). If I took all of the time I spent building a personal brand into building a corporate brand, I would have been worth a lot more money. I know money isn’t everything in this world, but in business, it’s the scorecard that everyone looks at. If you want to build a lifestyle business then consider building a personal brand. It’s easier to build, and you can make good money from speaking, consulting, or partnerships. But if you want to build something big, something that will continually live and move on without you, then focus on building a corporate brand. I’ve slowly been transitioning. That’s why I spend more time building up the Ubersuggest brand than I spend building the “Neil Patel” brand. And I know my ad agency Neil Patel Digital is based on my name, but I’m ok with that as I never plan on selling it. Now in an ideal world, what you want to do is leverage personal brands to grow your corporate brand. For example, Beats by Dre leveraged strong personal brands like Lebron James and the Kardashians to grow in popularity. It’s a smart model because this made it so the company isn’t reliant on one brand, such as Dr. Dre. A lot of companies, like Pepsi, Nike, and Coca-Cola do this. Even B2B companies do this… who wouldn’t want a testimonial from Bill Gates, Mark Zuckerburg, or Elon Musk. It’s probably harder to get their endorsement as they don’t need the cash, but you can get micro influencers within the B2B space. For example, I was discussing with my business partner that we should hire a lot of the popular personal brands within the marketing niche and bring them under the Neil Patel Digital brand. That way the company isn’t as reliant on me. When you also build a strong corporate brand you’ll notice that it may indirectly help you build a strong personal brand. But that shouldn’t be your goal as your company won’t be worth as much if it is fully reliant on your brand. So, are you going to build a personal brand or a corporate one? The post I Wish I Never Built a Personal Brand appeared first on Neil Patel.